"Quality You Can Drive On!" Is your company parking lot or asphalt driveway in need of pothole repair, driveway repairs or a driveway replacement? United Paving Company is one of the most competitively priced asphalt paving companies serving the greater Madison WI and Beaver Dam areas. 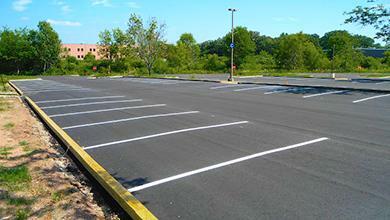 We would like the opportunity to serve your parking lot maintenance needs. Call today for a FREE, no-pressure estimate on your next project. We put our 50 years of combined grading and asphalt paving experience to work for you to provide quality driveway maintenance and repair, driveway repaving or replacement, and decorative stamped asphalt services in the Madison WI area. Our work is backed by a two year gold warranty that leads the industry by meeting or exceeding state and national asphalt pavement standards. Not all commercial pavements are the same. Most commercial use pavements will wear out from insufficient stability in either the sub grade, gravel base, or the pavement layers. We provide Master Pavement Design that will help us install the proper pavement and base layer thickness to handle the job. Serving most of Dane, Columbia, Sauk, and Dodge Counties, call United Paving Company for all of your asphalt paving needs. 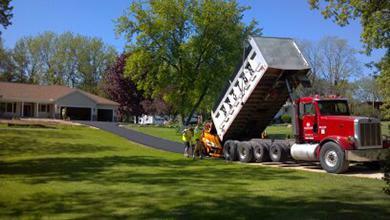 We offer proven results for municipal road pavement projects in the Madison WI and Beaver Dam WI area. At United Paving Company we are cost conscious by using the latest asphalt repair technologies to extend the life of your pavement. 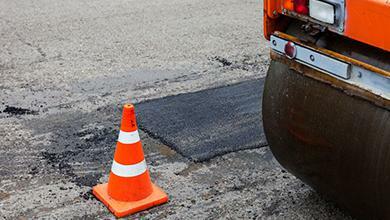 Our services include cut out asphalt patching, infrared heat asphalt repair and pot hole repair. Contact us today and our expert estimators will give you an accurate pavement assessment. At United Paving Company we believe there are many factors that go into a quality paving job. It starts with knowledgeable people that will walk you through every step of the job. Equally important is using quality materials that are designed and installed to match your particular needs. QUALITY YOU CAN DRIVE ON! Driveways and Parking Lots will often wear out quickly due to lack of stability in the sub grade, gravel base, or the pavement layers. We want to build your driveway or parking lot according to what you actually need and what is practical for your use. Then we stand behind our work to make sure we keep our customer happy. United Paving Company is on Twitter!